PTSuks Uncanny World: Video : H1Z1 s01e03 - Chipmunks Of Doom! 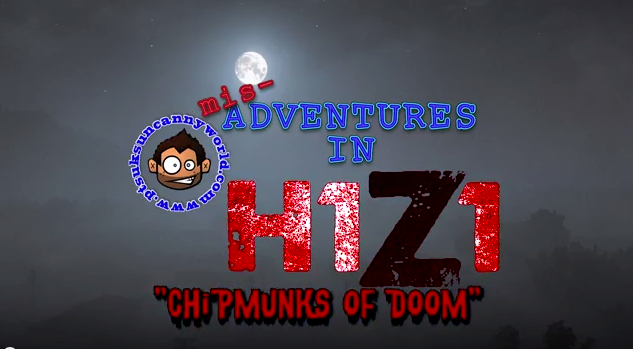 Video : H1Z1 s01e03 - Chipmunks Of Doom! Here is episode Three!, "Chipmunks Of Doom!" This game play was a bit long, so I sped up the footage, which turned into hilarious hi-pitched voices. I started out at a spawn point after dying from a previous session, to which some idiot savant spawned next to me and of course tried to do a beat down. After loosing "Mr. Special", I was hold up waiting to meet up with a friend at an industrial complex. A bit of confusion ensues on my part as what I assume is my friend running up on me ends up being another player, luckily he's a terrible shot and doesn't kill me at point blank range! (not even sure if he hits me). Well after a bit of trying to actually save and work with other players my friend shows up and we're forced to kill the other players. For once we go out on top!